Hi, I'd like to show you this page I found on Del Sol Furniture's website. A transitional design with contemporary accents, this gorgeous sofa is a classic look fit for casual homes and fine estates alike. 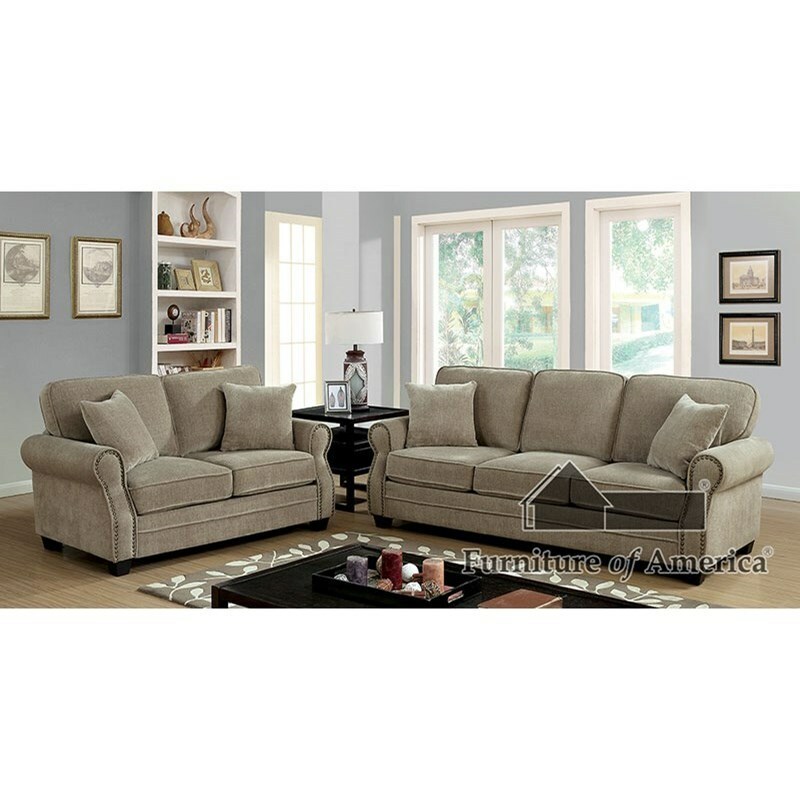 The brown chenille upholstery is a chic touch that will provide hours of endless comfort. With detailed welt trim and a decorative nailhead border, the plush cushions and rolled arms add an elegant touch perfect for this collection. The Lynne Stationary Living Room Group by Furniture of America at Del Sol Furniture in the Phoenix, Glendale, Tempe, Scottsdale, Avondale, Peoria, Goodyear, Litchfield, Arizona area. Product availability may vary. Contact us for the most current availability on this product. Browse other items in the Lynne collection from Del Sol Furniture in the Phoenix, Glendale, Tempe, Scottsdale, Avondale, Peoria, Goodyear, Litchfield, Arizona area. Del Sol Furniture features a great selection of living room, bedroom, dining room, home office, entertainment, accent, furniture, and mattresses, and can help you with your home design and decorating. Del Sol Furniture offers great quality furniture, at a low price to the Phoenix, Glendale, Tempe, Scottsdale, Mesa, Chandler, Ahwatukee, Gilbert, Casa Grande, Maricopa, Queen Creek, Apache Junction, Paradise Valley, Tolleson, Avondale, Peoria, El Mirage, Surprise, East Phoenix, West Phoenix, Arizona, Avondale, Goodyear, and Litchfield area.